It is funny that people think just because you do photography a little more intensively you would know all the cameras on the market. Which is not the case. In fact, I for example know the Nikon DSLR product range, because I use Nikon. But even there I am more informed about the pro level cameras (D300s & up). The entry-level cameras I do not know very well. I even had to look up what the actual “smallest” Nikon DSLR model is called. D5100 ? D3100 ? I don’t know without using my cloud memory aka Google. Which is not because I think the entry-level DSLR are bad products or “not worthy of my skills” (another nice thought you are being confronted with regularly). Back to the track. So I was asked if I could recommend a compact camera. Which I can’t. Well, of course I could, but I would have to make a market research first, reading reviews, collecting models and prices, getting an overview. And this also the person asking me is perfectly capable of doing. Everybody can read. The next step is “Yes of course I could read that by myself, but I have no clue about cameras and you have a far better idea of what is important when choosing a camera.” So what does this tell me ? You (claim to) have no clue about photography and technology, but you want a good camera. Why do you care about the camera selection ? If you don’t care about the technical details, visit a store and try some cameras. Choose the one which you like, which looks good, which feels good in your hands, which you understand intuitively. What should a camera offer to be interesting for you ? What do you want to use the camera for mainly ? How seriously do you want to get involved into photography ? Are you interested in using different lenses ? Do you already have any auxiliary equipment you want to use with the new camera ? These questions can help getting a little more information on what the asking person actually wants. The questions point directions. E.g. is it going to be a DSLR ? A bridge camera ? A mirrorless interchangeable lens system ? When you have determined the general direction you can play the ball back to the person who asked you. E.g. you might have learned that the person is more interested in a DSLR which should be small and cheap. 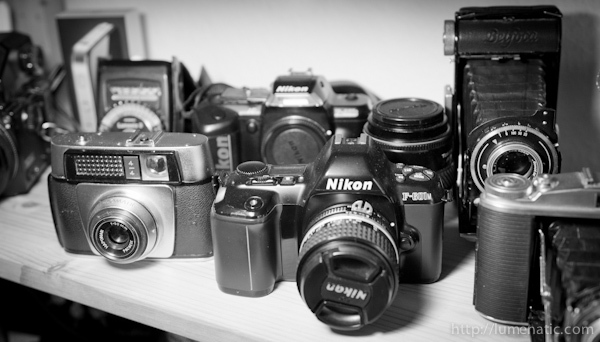 Then you can name some brands (the usual ones… Canon Nikon Sony Olympus Pentax….) and finish with the sentence “Now we have learned what you want, check the brands I named you for cameras which match your budget and you will find something”. This post in one sentence: People mostly can find the answers they need by themselves, and you do them a favor if you guide them towards a point where they realise that they can do so.